Continuing the popular Church Micro series. A cache situated opposite this village church with handy parking. There is no mention of a church here in Elston in Domesday. The tall, slim, only slightly buttressed 13th century tower appears to be the oldest part of the building. 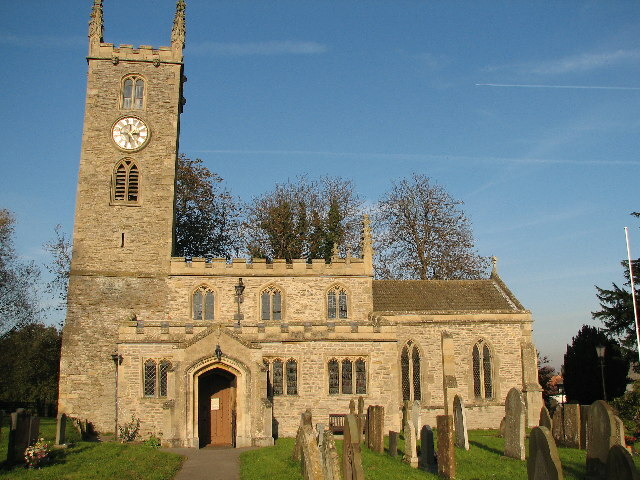 The church is of stone, in Gothic style, consisting of a chancel, nave with arcades of 4 bays, north and south aisles and an embattled west tower with pinnacles, clock and 6 bells. The Perpendicular clerestory and aisles were restored in 1827, 1859 and 1882. In 1859 the chancel was renovated and fitted with oak stalls and an organ. Visitors often come to see the mural monuments to the Darwin family. (Also some for the Lascelles.) Several are by Wallis of Newark (1789-1816); and three by Tyley of Bristol, for 3 Darwin children who died aged 13, 14 and 15 in the 1830s, are of good quality, as is the tablet to Elizabeth Hill Darwin, (d1827) by Taylor of York. Fgnaq snpvat gur puhepu, ybbx gb gur yrsg. Onfr bs vil pbirerq ohfu ng gur raq bs gur chyy va.
Cyrnfr uvqr bhg bs fvtug.